Or click directly on the new Sixteenth Century Scholars blog here. This version of the blog will remain active for now but please update your bookmarks/RSS feeds to the new version as this is where I’ll be blogging from now on. - Hilary Mantel, Wolf Hall (2009), p. 65. The fictional representation of Thomas Cromwell’s rise to power as narrated by Hilary Mantel in her Wolf Hall shows us, at the very least, that she has done her homework. The myth quoted above – which opens the second chapter of the book - is told not too dissimilar to how it would have been told in the sixteenth-century. If Mantel is to be believed (and she is, it is to be remembered, telling a fictional story albeit about real history) then Thomas Wosley did not put much stock in such stories. Whether or not that is true, there is certainly plenty of evidence to suggest that not all took the origin stories about Britain seriously. It is true that the Tudor monarchy chose the stories of King Arthur and Merlin as the basis for their power. Henry VII even named his eldest son Arthur as a means to link his power with the rebirth of Britain’s most famous king of legend. It is also true that the stories were repeated often not only in poetry but also in Chronicles claiming to be fonts of fact and truth. Yet, as T. D. Kendrick has noted many of these chroniclers added the caveat that they were repeating the tales sent down to them and not necessarily claiming their authorial expertise in this portion of their text. The origin stories, for many, were traditions that might have some element of truth and which were to be repeated unless totally disproven. In Samuels time, the prophet wise and sage. 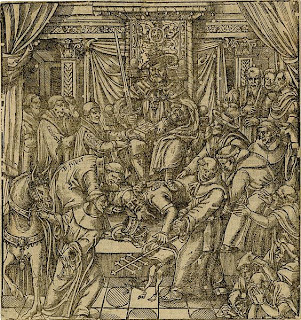 During the sixteenth-century origin stories were reassessed and examined. They were not necessarily exercised out of all histories, nor removed from the popular beliefs concerning England’s past, but they were certainly not believed by all, or used simply as morality tales, no different than those of the fabled Robin Hood. This was a time when truth and fiction were increasingly becoming important terms used to split ‘real’ history from fables and legends. If the changes in understanding over origins are anything to go by, then the sixteenth-century was the point when historians really were beginning to reassess their role and purpose. They were not necessarily becoming ‘modern’, in our sense, but they were certainly not the same at the end of the century as they were at the beginning. Thomas D. Kendrick, British Antiquity (Methuen: London, 1950). John Rastell, The Pastime of People: The Chronicles of divers realms and most specially of the realm of England (London, 1530). John Hardyng, The Chronicle of John Hardyng in Metre, from the first beginning of England, unto the reign of Edward IV where he made an end of his chronicle (London, 1543), p. vii. John Foxe must have been asked why his Book of Martyrs was necessary or needed when he was writing it in the early 1560s. He seems to have feared that another book of History lacked readers as his audience was already overwhelmed by books. In his final preface to the first edition he reflects on those concerns. Foxe makes a declaration intended to prove the utility and profit of yet another history book, especially one so large. He notes that there are an infinite multitude of books ‘daily put forth everywhere’, many of which were to be regarded as superfluous and only made to pester the circumspect reader. The concern was a simple one. 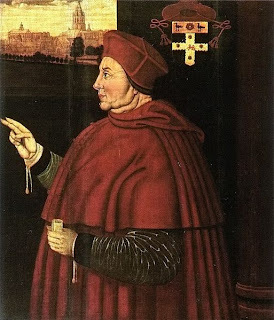 Although they would not have admitted it, the reformers were partly to blame for the scattering of England’s manuscript heritage upon the purging of monasteries in the 1530s. Little had been done since to recover those texts – many of which were unique and irreplaceable. Furthermore, the story of History told from generation to generation did not any longer fit the needs and requirements of a Protestant Church of England. That story claimed conversion to Christianity by the Pope’s hand. It argued for allegiance to Rome and the denouncement of any and all attempts to criticise that relationship. Protestants, like Foxe, needed to retell the past in their own image. But, crucially, that retelling had thus far been piecemeal. Foxe mentions that ‘the number of trifling pamphlets may grow out of remembrance’. It was certainly a concern. Campaigns to bring over opinions can be won through bombardment of pamphlets and other writings, but these are a weak bridge, with little concrete foundation, stability or persistence. What was needed was a central resource from which those other works could be divulged. Foxe wanted to provide that foundation; a large work, containing all that was necessary: in essence the Acts and Monuments or Book of Martyrs that he was producing. Foxe called it his duty and considering the interest and patronage given to him by the likes of Sir William Cecil, Archbishop Matthew Parker, and Edmund Grindal, then Archbishop of York; it most probably wasn’t an exaggeration, even if that was not quite what he meant. Previous to Foxe’s publication there were indeed a multitude of shorter texts published regarding the martyrs so recently burnt at the stake. In 1559 Thomas Brice had published a poem which listed the Marian martyrs in order of the dates of their executions. The same year John Day printed The complaynt of veritie, made by Iohn Bradford, a short treatise that transcribed the martyrs writings. It was the first of many. In 1560 William Powell printed A frutefull treatise and full of heauenly consolation against the feare of death. Whereunto are annexed certaine sweete meditations of the kingdom of Christ ... Gathered by that holy marter of God, John Bradford. Bradford’s writings and examinations were also printed by William Griffith and William Copeland in 1561 as well as by Rowland Hall in 1562. For other martyrs, Thomas Marsh published Arthur Golding’s A briefe treatise concerning the burnynge of Bucer and Phagius, at Cambrydge, in the tyme of Quene Mary. Also in 1559, Henry Sutton had printed The examination of the constante martir of Christ, Iohn Philpot. In 1562 Henry Bull had published An apologye made by the reuerende father and constante Martyr of Christe John Hooper (1562). In this text Bull noted that ‘manye frutefull workes did they [the Marian martyrs] write in prison…but fewe are come to lighte’. A year after the Acts and Monuments had seen print, Bull published the writings of Miles Coverdale as yet another example. Foxe also added to this growing collection with his Friendly Farewell, a collection of the writings of Nicholas Ridley. It is probably these tracts that Foxe was referring to when he stated that he didn’t want to overload people with yet another book on the subject. His argument was that his book would be the last word on the subject; a synthesis of the other tracts in one big volume. In this, at least Foxe succeeded. Other than subsequent editions of his own book, there were relatively few other publications focused on martyrs after 1563. The Acts and Monuments had smothered all competition, and it had done so extremely well. Whilst referring to Foxe for a more detailed account of the proceedings the 1577 and 1587 editions of Holinsheds chronicles record the same information that on April 10th Ridley and Latimer were taken to Windsor then the University of Oxford for dispute with the divines and learned men still remaining. Two days later they were taken to Convocation at St Paul’s Church (Holinshed, 1557: v. 4, p. 1719; 1587: v. 6, p.1102). ‘about this season diverse learned men being apprehended, and in prison for matters of religion, were brought before the bishops of Winchester and London, and other the bishops and commissioners appointed therefore: who upon the constant standing of the said learned men in their opinions, which they had taken upon them to maintain, as grounded upon the true word of God, as they protested, proceeded in judgement against them, and so diverse of them were burned at London in Smithfield, and in diverse other places’ (Holinshed, 1577: v. 4, p. 1719; 1587, v. 6, p. 1125). (Holinshed, 1583: v. 4, p. 1719). ‘His shirt was made long down to his feet; his feet were bare. Likewise his head, when both his caps were off, was so bare, that one hair could not be seen upon it. His beard was long and thick, covering his face with marvellous gravity. Such a contenance of gravity moved the hearts both of his friends and of his enemies. And as for the recantation aforesaid, with many tears he protested, that he had subscribed to the same against his conscience, only for fear of death, and hope of life. Which seemed true: for when he came to the stake, and the fire kindled, he put his right hand into the fire, and held it there a good space, saying: that the same hand should first burn, because it held the pen to subscribe against his Lord God.’ (Holinshed: 1587, v. 6, p. 1131). When Mary I came to the throne in England it was not long until she began to act against the more radical reformers. 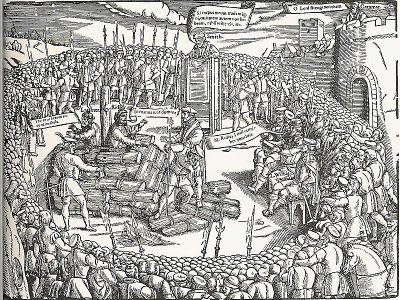 Many of high and low birth were burnt as heretics whilst others fled the country for the Rhineland. The evangelical historian and martyrologist John Foxe, famed for writing his Book of Martyrs during the subsequent reign of Elizabeth I provides us with our most vivid descriptions of these events. ‘…at the stake with Simon Miller to be burnt, when the fire came vnto her, she a little shronke thereat, with a voice crying once, ha. When the sayd Simon Miller hearde the same, he put his hand behind him towarde her, and willed her to bee strong, and of good cheare: For good sister (said he) we shall haue a ioyfull and a sweete supper. Whereat she being, as it seemed thereby strengthened, stoode as still and as quiet as one moste glad to finish that good worke whiche before most happily shee had begonne. So in fine she ended her life with her companion ioyfully, committing her soule into the hands of almighty God’. In many cases multiple burnings took place at the same time. At Stratford-le-Bow thirteen were burnt at the stake in one fire. At Smithfield in London Thomas Loseby, Henry Ramsey, Thomas Thyrtell, Margaret Hyde, and Agnes Stanley ended their lives in one fire, whilst at Canterbury ten martyrs were put to the flame by Thornton, Bishop of Dover and Nicholas Harpsfield, Archdeacon of Canterbury. ‘At the middle post was the mother, the eldest daughter on the right hande, the youngest on the other. They were first strangled, but the Rope brake before they were dead, and so the poore women fell in the fire. Perrotine, who was then great with childe, did fall on her side, where happened a ruefull sight, not onely to the eyes of all that there stood, but also to the eares of all true harted Christians, that shall read this historye: For as the belly of the woman brast a sonder by vehemency of the flame, the infant being a fayre man childe, fel into the fire’. Foxe focused on those who had stayed in England to face the wrath of Mary’s government. It was important for him and for those who supported his work that the martyrs were memorialised whilst Roman Catholics (for they blamed the burnings not just on Mary’s government but upon the whole Roman church) were vilified and revealed as a foreign enemy to Elizabeth’s England. That picture of English reformation survives to this day and its effects continue to ebb below the surface of British society. But it is not the whole picture and indeed historians and the public at large still grapple with the legacy of propaganda left by Elizabethan scholars, playwrights, politicians and clergymen. There are numerous more examples many of which were graphic in both their portrayal of the burning itself and in the process leading to the burning. Historians have, in ever greater detail, examined many of these accounts and formed arguments around them. In particular, there is a current interest in comparing Foxe’s narrative to other sources – such as official documents – to check his authenticity. However, few have looked at alternative contemporary accounts in works of history such as Holinshed and Stow. It is therefore interesting to compare Foxe’s account of such events to that given in other near contemporary chronicles. Tradition is an important aspect of our lives. This was equally true in the sixteenth-century as it is now, although it’s meaning and prominence in society has radically changed in that time. I have just finished reading the sociologist Edward Shils book entitled and on the subject of Tradition (published in 1981). 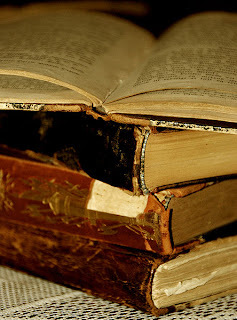 To my knowledge there are few other books on the market that look in their entirety at tradition as a concept, and it is therefore still important for that reason alone. Shils himself has been credited as a social theorist on similar levels to Max Weber, Jűrgen Habermas and Michel Foucault, although as Stephen Turner has suggested, he is often misunderstood. In this book Shils talks about two types of past. One that is real – that which has happened and left behind its residues. Then the other – a more mutable perception of that past based, admittedly on the residues left behind. The perceived past is capable of being retrospectively reformed by humans living in any given present. It is a past that is recorded in memory and writing, formed from facts, but pliable, open to interpretation, error, or even purposeful revision. This description fits perfectly with what happened in the sixteenth-century. Reformers and evangelicals had a very specific perception of Christian history, one that became mutable to their purposes in degrading the Roman Catholic Church and raising theirs up in its stead. The argument ran that novelty was an error – a corruption made and designed by fallible humans. The only statement that could be confirmed as certain truth was biblical. God’s word was certain, unalterable. This is nowhere made clearer than in present day politics. The coalition government in Britain is rapidly unpicking the state fabric – paving the way for privatisation in health, education, and communication systems. These systems are seen as holding the country back. Those who see otherwise are often accused of being backward looking themselves, recalling a mythical golden age that either never existed or certainly doesn’t exist any longer. The idea of a golden age, a time when everything was better or perfect, has a very long history. We all look back wistfully to a happy time, when everything seemed good. In History such golden ages can come as a result of desired change. For instance, Mahatma Gandhi’s fight for Indian independence focused on an Indian past – located in the idea of a countrywide village community – a past that never existed other than in the minds of the people. Last year’s London Olympic Games opening ceremony revealed an imagined British past and present; one triumphant, quirky, and rich, but pretended, imagined in the minds of a nation. In both cases the idea of an imagined past constructed an image of a golden age in the conviction that it can provide the context for an improved future, changed somewhat from the perceived failures of the present. We often talk about progress these days – in fact we have been talking about it for about four hundred years. Intrinsic to our beliefs is the concept that we must change and improve and never turn backward. There is a great belief that practices, institutions and society need to be constantly changed, replaced or discarded in favour of new ones. The emphasis is always on improvement. If our skin is blemished or our nose is too big (or small) we change it, make improvements. Our houses grow, expand and change – new furniture is introduced, old is removed – it is a cycle, constant in its transference from one fashion to the next. That wasn’t the case once. Progress was the beast, the thing that led to novelty and a distancing from the true path laid out for us by God. That was the predominant belief. Novelty was bad, a corruption from purity. Innovation was viewed as a human intervention, which was bad because God had already laid out our futures before it had even begun. Therefore our views and opinions about tradition and novelty are different than those that we study in the pre-modern times. They are reversed – to a degree – novelty is the sin, but so too might tradition, depending on whether it was the tradition that God had laid out, or the tradition built up by humans since then. For Roman Catholics these traditions were provided by God, through the priesthood, but for Protestants this was a corruption. It’s almost ironic that in Britain Protestant is often referred to as a progressive faith in comparison to Catholic. Protestantism is often claimed as a lead-factor to Britain being capable of innovating and kick-starting the industrial revolution. But in truth it is the Catholic faith where traditions are built one upon the other that was the most progressive in the sixteenth-century. Protestantism represented rupture, but a rupture intended to revert to an even older tradition. It was not forward looking at all, not intentionally anyway, it was backward looking, more so than the Catholic Church of its time. So who really were the modernisers and why should progress and novelty always be seen as a good thing, while traditions and old ways are ignored, replaced, and looked upon with disdain? Stephen Turner, ‘The Significance of Shils’, Sociological Theory, 17:2 (July 1999), pp. 125-145. John Foxe makes various claims in his Acts and Monuments about what he is doing and why. His various prefaces, dedicated to all types of potential reader (the learned Protestant; the learned Roman Catholic; the unlearned; the Queen etc) make this explicitly clear. I’m currently writing a chapter where I hope to introduce what it was Foxe thought he was doing when researching the pre-reformation portions of his book. Historians say many things about it over and over again (and I’m sure I will be as well, although hopefully I’ll have a few new things to say as well), but essentially Foxe is purporting to be writing the true history of Christianity and Britain’s role within it. I highlight the word ‘true’ for a purpose, not just because this is what all historians claim to be doing, especially those in the sixteenth-century who wanted to convince their readers of the validity of their theological argument equally as much as their credentials as an historian, but because Foxe was making the argument for a revised past; one very different than the traditionally held story. He was equally making the case for the uplifting of the most popular sources for that history – Foxe used Ranulf Higden’s fourteenth century Polychronicon sparingly because it was the culmination of the monastic tradition. He attacked Polydore Vergil’s Anglica Historia at every opportunity because he was Italian and because he had offended England’s antiquarians by discrediting their origin stories. In reverse, Foxe lifted up Robert Fabyan’s London Chronicle and Matthew Paris’ Chronica Majoria as alternative and relatively purified sources. This is a long quote, but it nicely summarises what Foxe sees as the true History. I am yet to decide if I’ll be using it whole in my final text or whether it would be best to break it down into parts, but I think what Foxe is saying here is important to understanding what it is he is trying to say in the Acts and Monuments as a whole. Hello and a very warm welcome to my Sixteenth Century Scholars blog. Here I will write about my own findings and examinations of scholars (principally historians) in sixteenth century England. In particular I would like to open up a discussion on the process of writing history both in terms of the sixteenth century scholars that I study and in terms of our own experiences in studying them. It must be noted that all writings on this blog represent my opinion and my opinion only. It does not in any way represent the opinions of my current employers nor that of any previous associations. It should also be noted that this blog is not intended in any way as a scholarly publication of finalised work. My writings here are intended purely as works in progress or as musings. Please keep this in mind whenever you read my posts. Thank you.